At this year’s ADA Meeting Brewer will be offering the best year-end savings to our customers through rebates on our Better, Best and Specialty seating. 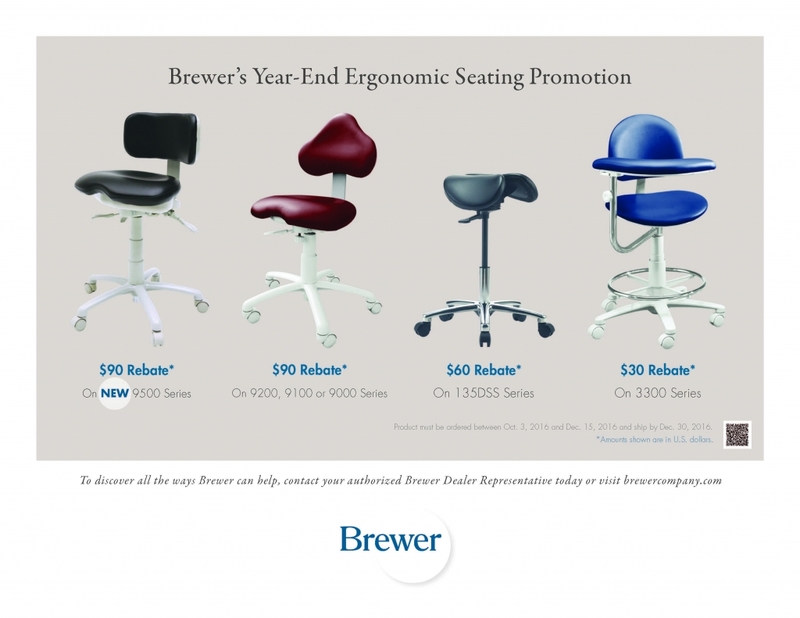 The 33XX (Better), 9XXX (Best) and the 135DSS (Specialty) stool models are eligible purchases on this year end promotion. Brewer will also be promoting our NEW 9500 Series stool – stop by, booth #1102, to see how its third generation Dynamic Motion Technology can improve your performance.